With the weather having been almost up to Dutch standards (rain, rain, and more rain…), it is easy to forget that we are actually living in Australia. Well, almost. Here is my top 5 list of things that remind me that this is actually the other side of the world. Parking is easy, right? You pull up to the marked area, put on the breaks, leave and lock your car, done. OK, so sometimes you have to pay for that, and that’s what the parking meter or ticket machine is for. And sometimes you are limited in the time you are allowed to park, so you put a parking disk in the window. Well, it’s not quite that simple here. 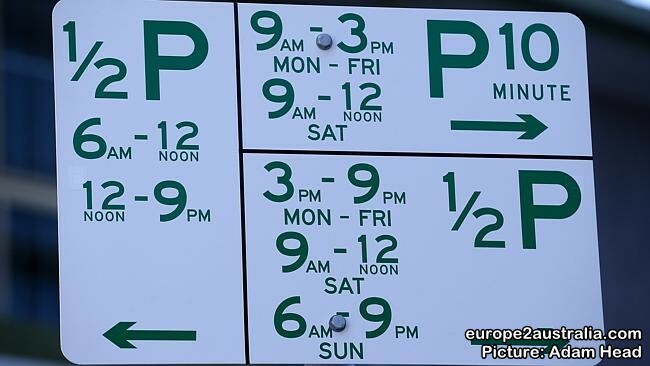 While there is street sign that tells you that you parking time is limited, no-one here seems to have one of these discs in their car. And, while Oz in general is a pretty laid back place, I found it very difficult to beleive that the government would just trust everyone to adhere to these rules and not find some way of getting some sort of fine money out of its citizens. It also does not help that the signs themselves can be a bit overloaded with information. Something to note when you’re deep in thought, not paying much attention and walking to the entrance of an office building: revolving doors turn the other way in Australia. So don’t do like I did and almost run into the glass coming the other way. 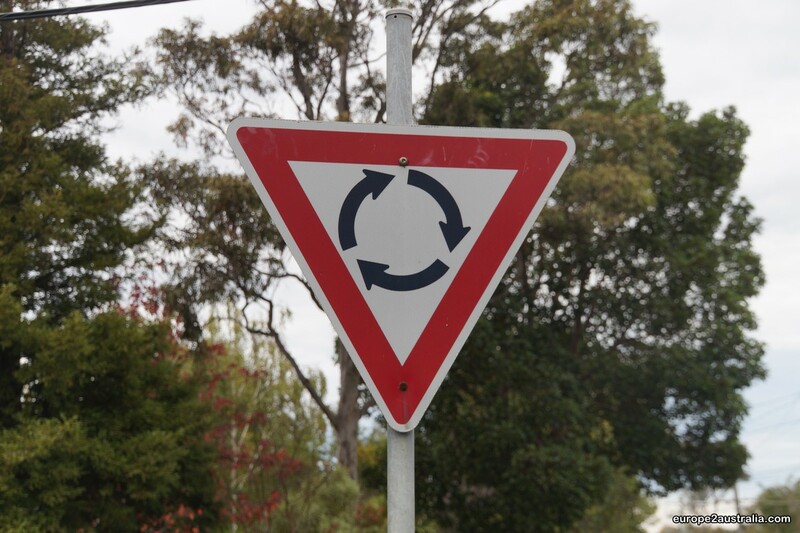 Not only circular traffic turns the other way. Coming from the Netherlands, where everything is flat, having to deal with the hills here was quite the nasty surprise. On maps, the commute to the train station is 1.7km. What they are not telling you is that it’s also at least that much down and back up again. Especially on my one-speed bike. 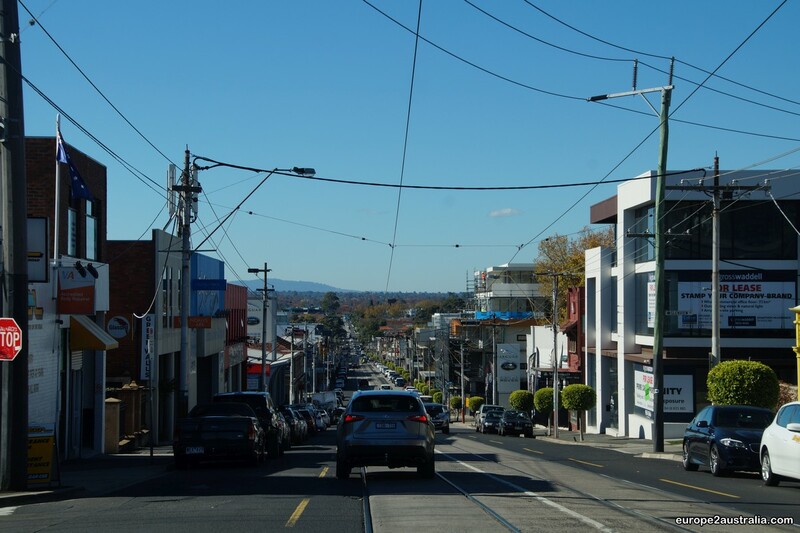 Traveling through Melbourne is quite the up-and-down affair. Driving a car is also quite different. Not only are you driving on the wrong side of the road, the interiour of the car is also different. Since the driver is sitting on the right hand side, it means that the gear shift is on the left. It has taken me at least two bumps into the door when I tried to shift with my right hand before I finally got that one down. But what still confuses me quite a bit is the reverse position of the turning signal and windshield wiper leavers. It remains a 50:50 affair whether I actually indicate my intentions to turn left or whether I activate the wipers on the dry windshield. 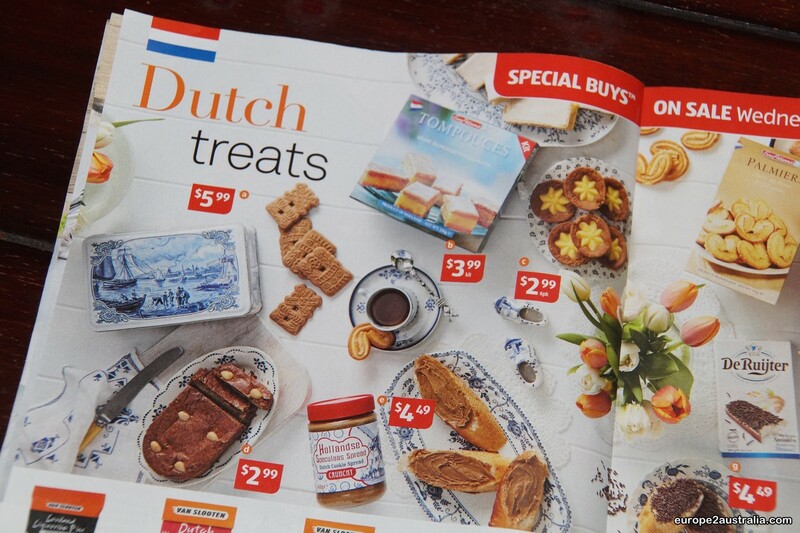 But the number one reason on how you realize you’re not in the Netherlands anymore is when Aldi has a country special for Dutch Treats. That’s just weird. Dutch Treats, only four weeks after we arrive here. Coincidence? 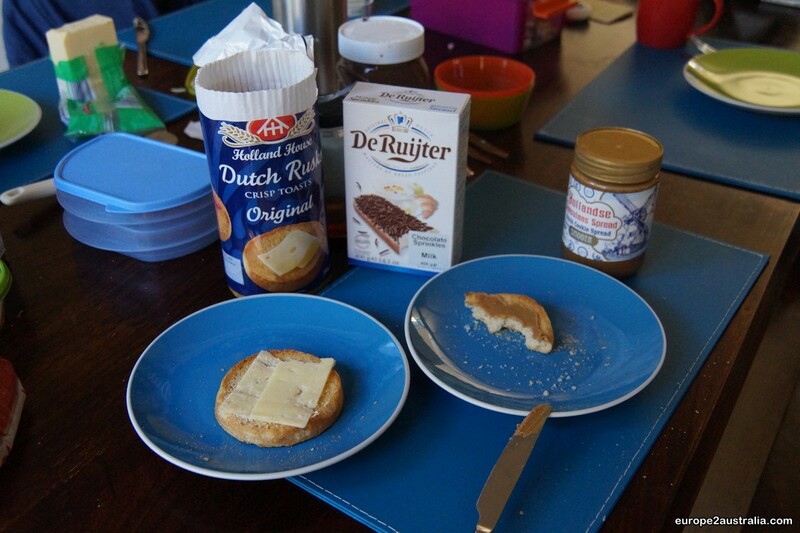 A taste from home: Dutch breakfast. Ik snap dat je een probleem hebt met dat parkeerbon! Ik zou er ook niet uitkomen. Wel sneaky die “oogjes” in de weg! Werkt waarschijnlijk wel! Links rijden heb ik nog nooit gedaan maar lijkt mij een ramp in het klein…. maar daar wen je wel snel aan denken ik! Aldi doet het expres!!! Geweldig al heb ik hier nog geen Australische week gezien! Wat is een typisch Australisch gerecht? Groetjes Suzan! Lijkt me inderdaad ook lastig om in een Ozzie-auto aan de linkerkant van de weg te rijden. Maar ik denk dat dit ook wel zal wennen. Hebben jullie ook al de Nederlandse drop kunnen ontdekken? Jazeker, deze week Nederlandse week bij de Aldi, daar ontbreekt uiteraard de drop ook niet.